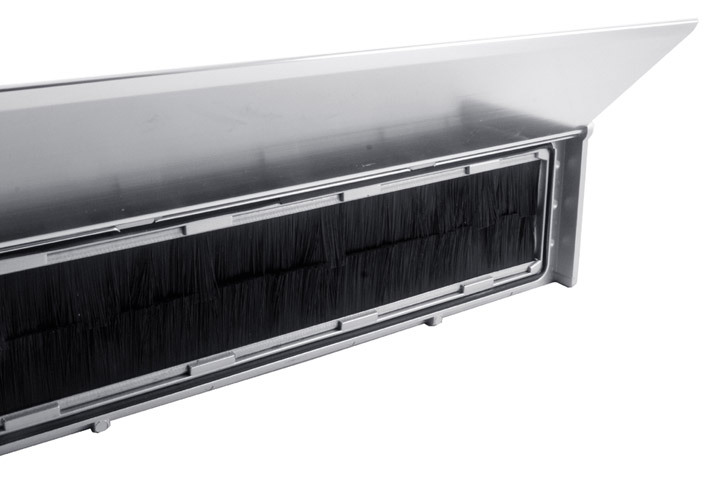 The Draught excluding letter plate has a flap which seals against a rubber gasket as well as an integral brush seal. This prevents draughts, reduces heat loss and improves privacy. 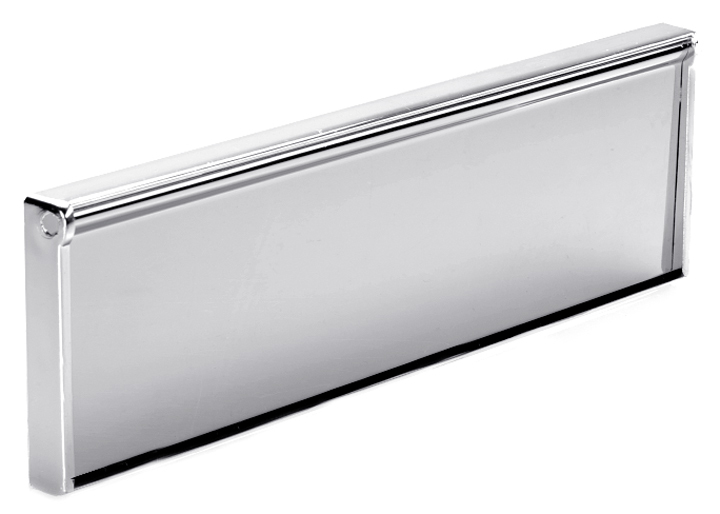 The product can be fitted as an external lift up letter plate conforming to British Standards but it can also be used as an interior tidy for conventional letter plates, converting this type of installation into an energy saving solution similar to the telescopic letter plate systems often used on UPVC doors. 1) Counter drill a larger hole the same depth as the nut to accommodate the diameter of the fixing nut. The fixing studs can then be shortened so that they do not protrude, and the nut fixed with a box spanner or socket. 2) Replace the letter plate studs with countersunk machine screws. After removing the letter plate the internal side of the hole will need to be countersunk. The existing studs can be unthreaded from the letter plate and a countersunk machine screw used to fix the letter plate in place of these. The studs are usually M6 on a modern letter plate (although some older ones may have a Whitworth thread). If your door is a typical 44mm thick then something like M6 x 50mm countersunk machine screws should be ideal. The length may need to be adjusted so that the screw head lies flush with the door surface. The draught excluding tidy is placed so that the inside bottom edge is flush with the bottom of the door cut out. The fixing screw holes are marked and pilot drilled if necessary and the tidy is face fixed to the flush surface with the screws provided. Always consult a qualified joiner if in any doubt about this product or its application.